How can I tell a good teacher if I am at the beginning of my journey? Well you could ask someone who has been to them, had a reading from them, but it may be that because you are at the start of the Journey you don’t know anyone. My advice is to not rush it. Go to a spiritualist church a centre a demonstration etc, in fact I would go to see as many demonstrations of mediumship as you can, to get an idea of the type of mediumship and mediums that are out there and decide for yourself what type of medium you want to be. I have heard some very well respected mediums say that they can count the number of good mediums in the UK on 2 hands. That to me just says that they are clearly out of touch with the world and I would question how they are judging mediumship. It is very easy to judge from your own perspective but we must never assume that we are the sole authority on this subject. I have heard teachers state that they don’t like a person’s mediumship, but of course that doesn’t make it good or bad, just their taste. The point I am making is that Mediumship is not about evidence of survival, it is about your personal relationship with yourself and the spirit world. If you are comfortable with yourself and you have a good relationship with the spirit world the so called evidence will speak for itself. Stay close to one teacher if that is your path, but do explore and see as many others as you can. To obtain a broad and full understanding of your own spirituality and mediumship you must look at it from many perspectives. Again this is your personal choice. There are many types of meditation and each meditation will take you on a potentially different journey. Meditate to meet your guides, to relax to feel your own sprit etc. etc. but most of all when you meditate try not to achieve anything in particular, just enjoy the time with YOU. You will come across many people who don’t believe for many reasons, fear religion peer pressure, the list is endless. There are some who think its there god given right to laugh and rubbish your beliefs, but they are your beliefs not their’s, don’t fall in to the trap of trying to prove it to them. A healthy debate is always good in any subject but not when it will always be one sided. Stay true to yourself. Don’t be a leaky Medium, there is a time and a place for everything, know your times for working and playing, it is tempting (especially in the early days) to walking around with yourself wide open and give a message to everyone. In my experience I have learned to only give a message when asked and even then make sure it is at a time that you have set. 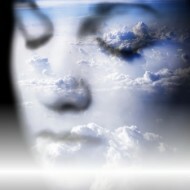 If your head is in the clouds constantly you will forget that the real world looks like. Most certainly, Everyone is Spirit so therefore everyone is Psychic and Everyone is Mediumistic, it depends on how much you put in to developing. Everyone is aware of the spirit world at some stage in their life and the spirit world is always around us, but it is your awareness and understanding that takes the time. 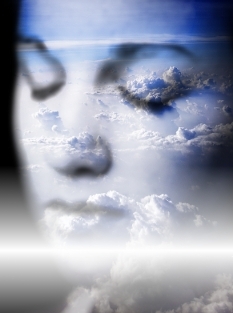 Time to understand how you work as a spirit, and how to develop your Spirituality. Like everything in life you reap what you sew, and development is no different.